Any recommendations on a good looking tire and good reviews. looking to put on 29x9x14. 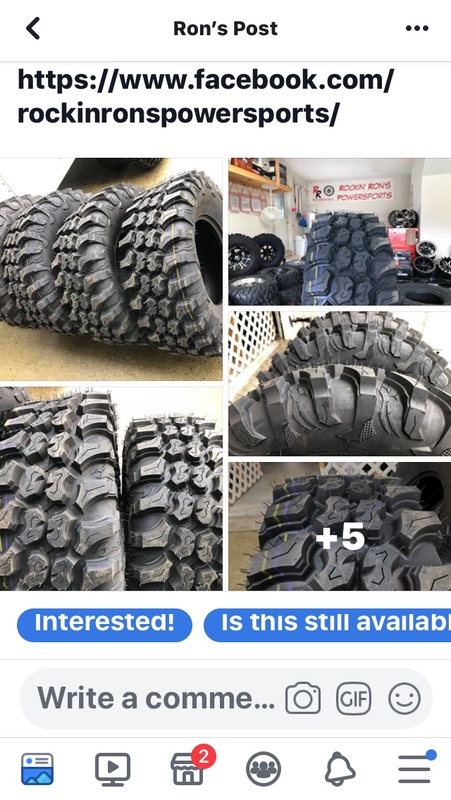 was looking at the maxxis carnivore or ceros. Dirt commander cheap and race proven. But not a truck tires like the other two treads . If your looking for a true 29" height go with 30×10×14 Tusk Terabites. They measure just under 29" tall, great all around tire. Location: Lake Texoma, Denison, Tx. Tires are a funny subject, you can get 50 replies and 50 different answers. Depends on driving conditions,places,driving style etc. I like my Kaneti Mongrel 10 plys to fit my needs. Sand,Bad Rocky Trails, Street, and wet. Get good mileage, good ride, quiet, DOT approved, Side to side rotatable and being 10 ply they are indestructable and seem to work on the heavier machines. running 9"on front and 11" on back and have no problems. Like I said just my preference and I know others will have theirs. JTROCKS, Boogerhead and Leadfoot like this. Bee running the maxxis Ceros in the Baj Desert with no issues of any kind, rocky trails, sane gravel soft dirt sorry not much mud. I have a question about tires. 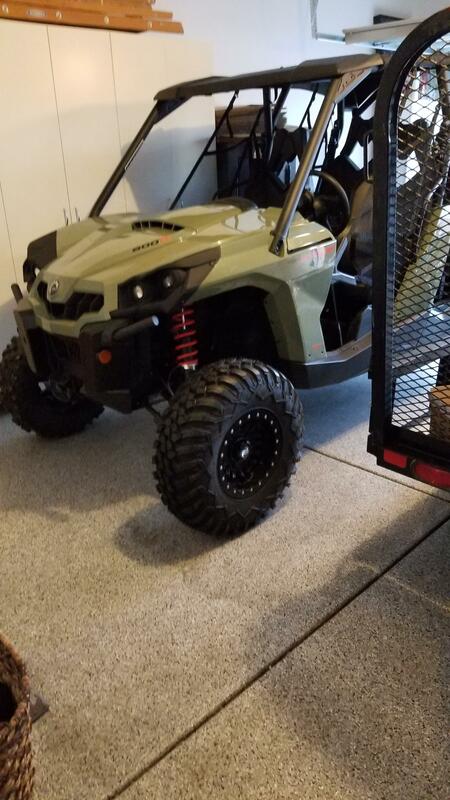 I have a Commander XT 1000 will a 30” tire fit the stock rims? Do I need new rims or can I just mount them on my 14” rims? My concern is about the width of the stock rims?? People do it every day .